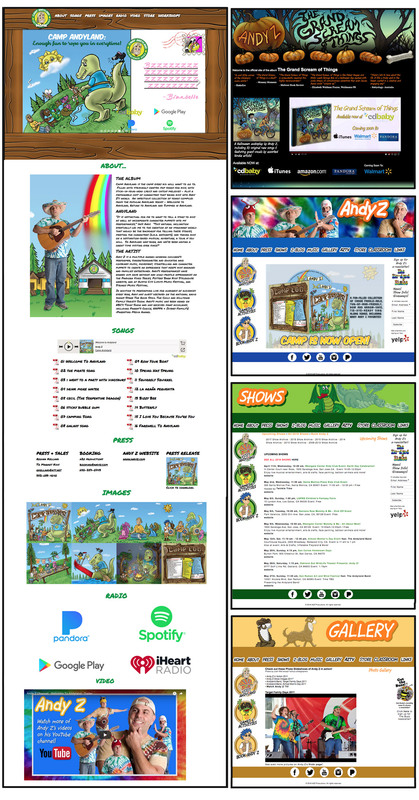 I've worked for Andy for nearly 10 years, providing creative and production support for his web, marketing and product presence. 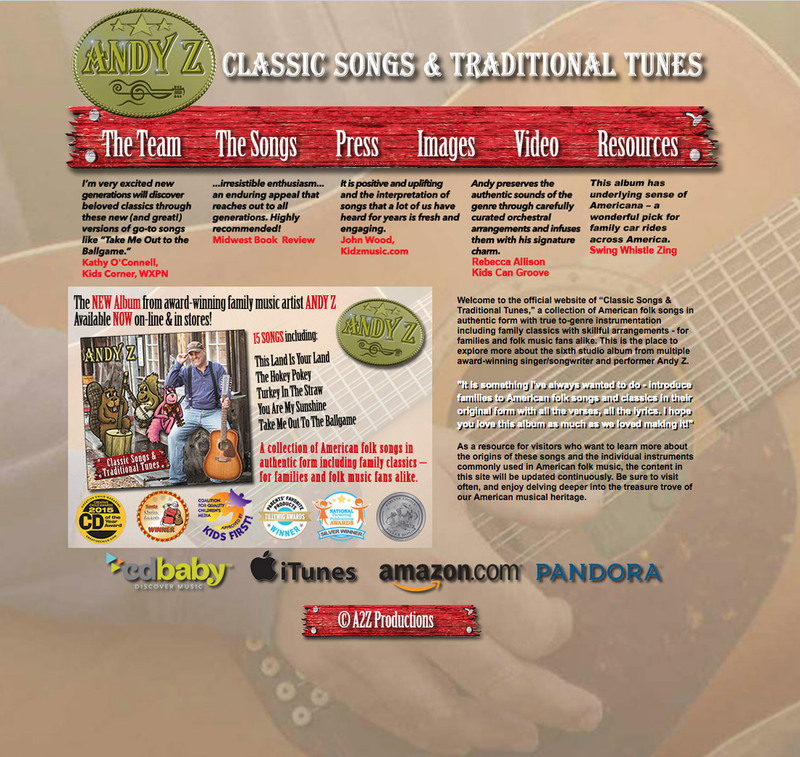 I've created Andy's official website, as well as various mini-sites for a few of his more recent albums. Camp Andyland site built using Webflow framework. All other sites built using Dreamweaver, Flash, html5, jquery and css.